Attracting the right tenants and keeping them is what property management is all about. This is one of the most valuable services that a firm can provide, so it’s important to make sure you will be getting your money’s worth by examining their process for each task. Where do they advertise their rental listings? Find some of their rental ads on your own to see if they stand out from the competition. How informative and compelling are they? Any management company can list basic information on multiple websites. What you need is a company that understands how to optimize their advertisements for maximum impact. The ads should include all the information required to answer people’s questions, but they should also incorporate good copy-writing that engages the reader on an emotional level beyond bland facts. What is their current vacancy rate? This is very telling; if they can’t get or keep other peoples tenants very well, there's no reason to think yours will be any different. How long does it usually take them to fill vacancies on average? If they tell you longer than a month keep looking, regardless of what they tell you there's no guarantee it will hold up. Do they know what their cost per lead is? If they can readily provide an answer, you know you’re dealing with a manager who closely tracks the impact of their marketing and advertising dollars. Who fields inbound leads resulting from rental ads? The system is only as good as the weakest link in the chain. If well placed and written rental ads direct leads to someone unqualified to handle them then the previous effort was wasted. How quickly do they return prospective tenants calls and emails? The shorter the better; you are looking for a property management company who is aggressive in responding to and nurturing leads at every point in the sales cycle. This can be an area of weakness for companies who are less sales-oriented, and if neglected it will mean longer vacancy periods. If you want to test the answer they give you, ping the info on one of their ads and see how long it takes them to get back to you. What do they do to prepare the home for showings? Do they take steps to ensure optimal presentation both inside and outside? Showings are where the decision is made, you want your management company to be on the ball with paying attention to the details that matter. Will they show a unit if it is occupied? This is advisable so long as the current tenant is informed, the unit is presentable and the necessary precautions are taken to minimize the intrusion and disturbance. If the unit is showable then ads for the unit should be put up prior to the move out date so as to minimize the vacancy period. Who shows the units, do they allow unsupervised showings from a lock box? Successful showings require the manager to be organized and ready to sell. Prospective tenants will have lots of questions about the property, the neighborhood, the lease etc. You want to hire a manager that will be able to answer their questions and sell them on the benefits of the property. Using a lock box for showings hampers this process and also introduces the possibility of vandalism, theft and rental fraud when tenants are in your property unsupervised. How many times will they show the unit during the week and the weekend? Watch out for managers who are not willing to put in the time necessary to maximize the number of showings for your property. What kind of a tenant retention program do they have in place? Increasing your average tenancy periods will be a huge boost to your business. This translates to fewer turnovers and lower tenant placement costs, ensures a steady income stream and usually means responsible, well-behaved tenants. Pay careful attention to how the property manager answers this question. Does it seem like tenant retention is a priority or an afterthought? A good retention program involves providing quick responses to tenant needs, establishing regular contact to assess needs and ask for feedback, providing appropriate financial incentives, giving notice that rent increases are coming and being willing to explain rent increases. Additional touches that engender good will are things like seasonal cards or gifts, a welcome packet, and newsletter. 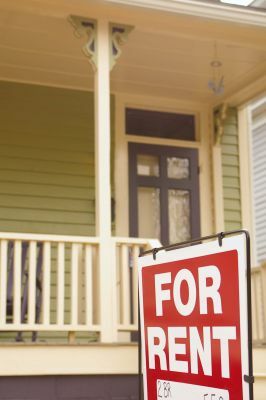 As any landlord veteran will tell you, if your unit is priced reasonably getting applicants is easy, its finding QUALIFIED tenants that is challenging. What should you expect from a management company when it comes to tenant screening?